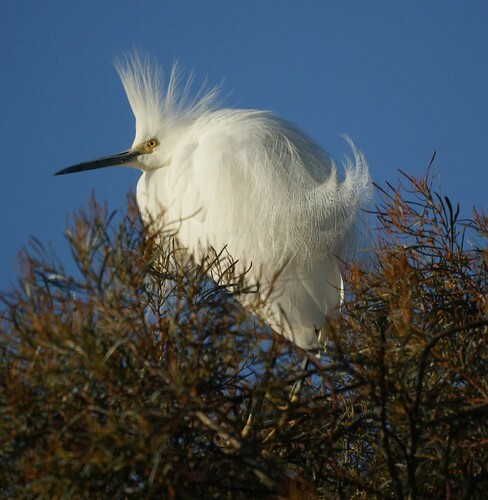 Mike had a meeting in Silicon Valley last week and dropped by the Baylands Nature Preserve in Palo Alto CA. It's an easy spot to find with a great map that even points to the area where the night herons nest. 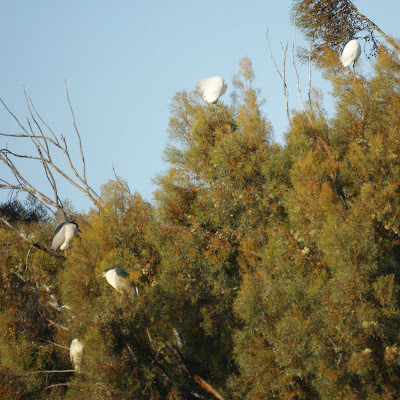 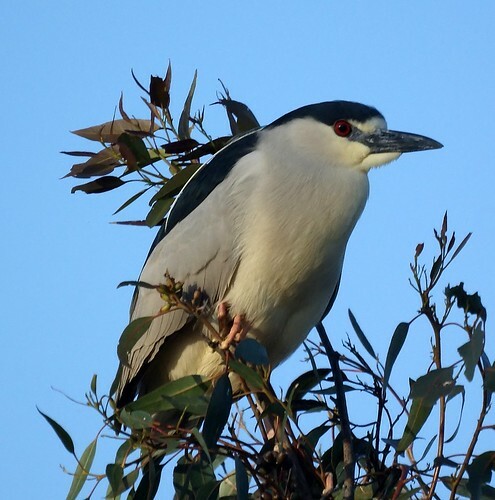 There were quite a few night heron nests with snowy egrets mixed in. 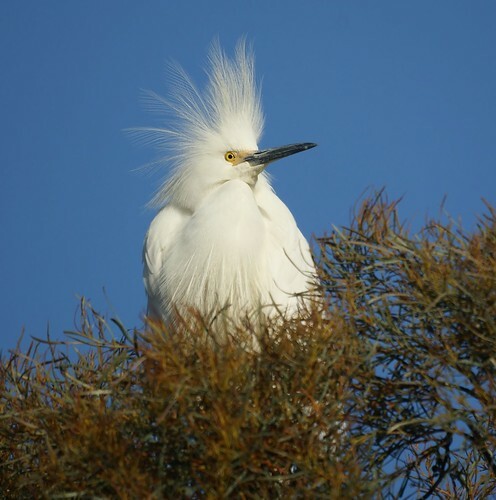 While most of the egrets had their feathers under control, he got these pictures for Chris who likes birds with wild hairdos.